"God blesses those who take care of cows"
This is the first time in the history of North America that grandparents are teaching their grandchildren how to honor mother cow. 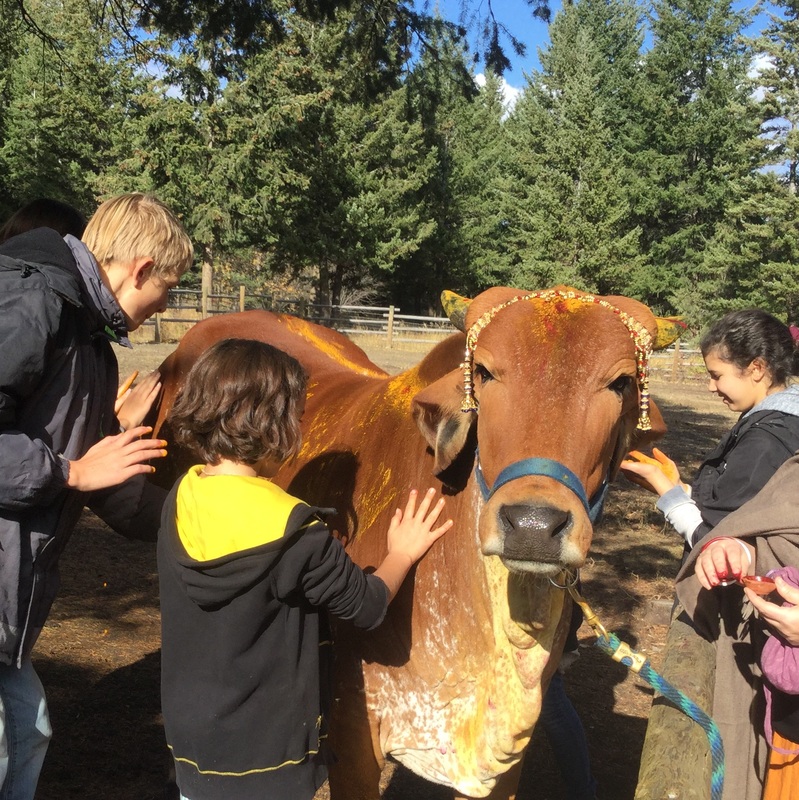 Ahimsa Goshala is working to bring respect for cows into the mainstream of human values in the modern world. There are opportunities to perform seva for Go Mata in a number of ways such as building barns, installing fencing, clearing land for pastures, purchasing winter hay, contributing to vet care, cleaning, milking, worshiping, and training. The salient point is that the cow is a sacred animal and that anything we do for her will benefit us and our families, both now and in the future. Cow worship is a win-win affair.